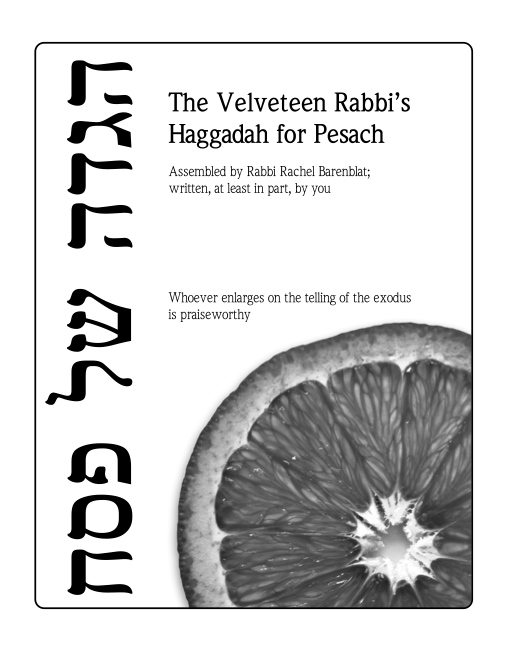 This haggadah grew out of my desire for a seder text which cherishes the tradition and also augments that tradition with contemporary poetry, moments of mindfulness, a theology of liberation, and sensitivity to different forms of oppression. 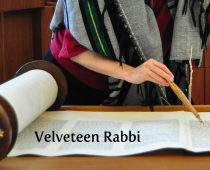 It evolved out of a haggadah I created for home use many years ago, which in turn evolved out of the Williams College Feminist Seder project, of which I was a part in college. I’m not sure now when I first shared the VR Haggadah online. In any event, I’ve been sharing it on my blog and on the web for several years, and it’s been used all over the world, from Massachusetts (where I live) to California, London to Woomargama (New South Wales, Australia) to Niamey, Niger. I’m gladdened and gratified that so many people resonate with it. And if you’d like it as a digital slideshow (to be projected on a screen instead of printed and bound), here’s where you can find it as a slideshow. Incredibly well-honed and interesting and real. — Sandy.